Solving complex societal problems requires specific collaboration skills, such not often found in Finland. Now a group of officials across sectors is learning the necessary skills on training on Collaborative Public Management. The training is designed as a start for a wider turn towards more collaborative governance. In October 2018, the start session of the training at the Sofia Cultural Centre in Helsinki brought together 25 officials, chosen among the applicants. They represented different administrative levels and sectors, planning on land use and traffic, environmental issues, forest management and work on civic engagement, among others. The instructors, collaborative governance experts Stephen Greenwood and Turner Odell, came from the National Policy Consensus Center at Portland State University. The training is free for the participants. It is funded by the Strategic Research Council at the Academy of Finland, as part of the CORE project. The aim of the training is to give the participants capacities to collaborate with multiple actors and plan and lead processes that aim reconciling different goals. The basis is in the model of collaborative governance that has been successfully applied in Oregon since 1990’s. The training also starts the building of a growing community of collaborative governance experts in Finland. In the beginning of the training, the participants told about cases they were familiar with in which there is or would have been a need for more collaborative practices. The instructors presented two cases of solving a complex problem collaboratively. At the mouth of Columbia River in the U.S., a solution was found for the local erosion problem. In the case of conserving the greater sage-grouse in Western U.S., the conflicting economic and ecological interests were reconciled into a widely accepted action plan. Referring to the success factors in the two cases, the instructors then introduced principles of collaborative governance and phases of a collaborative process. A third theme to be studied was personal collaboration skills. The learning on the training was supported by worksheets with which the participants applied the presented points and ideas to their own cases and actions. Matti Hovi from Metsähallitus said that he will summarize the ideas from the training for his colleagues. “I aim at using the insights I learned here myself, but also share them to the others”. ”This responds exactly to the need that I recognize at least in our work. Our work should be to solve problems together with the others, and here these kinds of collaboration skills are necessary”, states Matti Hovi from Metsähallitus. “We have among others a planning process on management and use of conservation areas, which is participatory in a traditional way, including consultation of stakeholders. But the methods discussed here in this training go far further than that”. The competence to assess when to use collaborative methods is one of the very basic questions in collaborative governing. 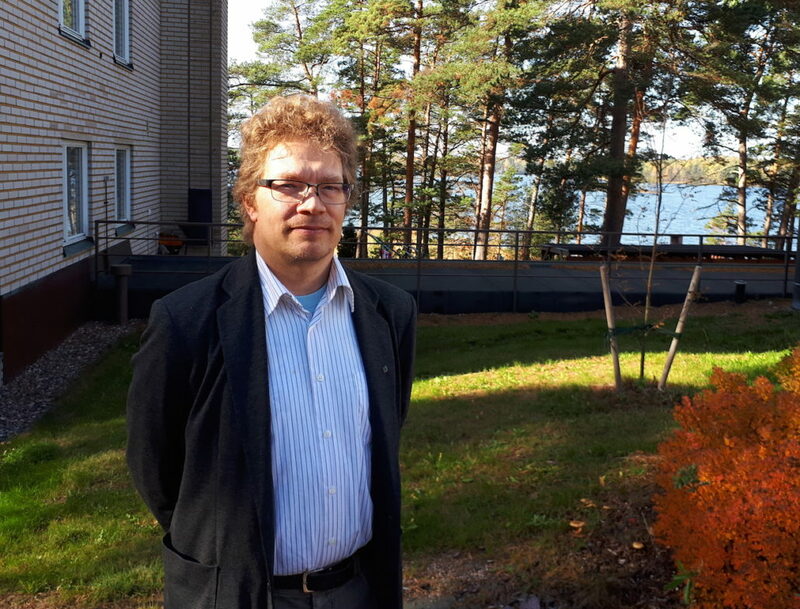 “When new things come up, you should take a moment to ponder whether this is an issue requiring collaboration and thereby starting of a collaborative process, or can we just make a quick decision by ourselves”, Matti Hovi continues. “We come across situations in which there are different parties with differing interests and they should be reconciled in a way or another”. 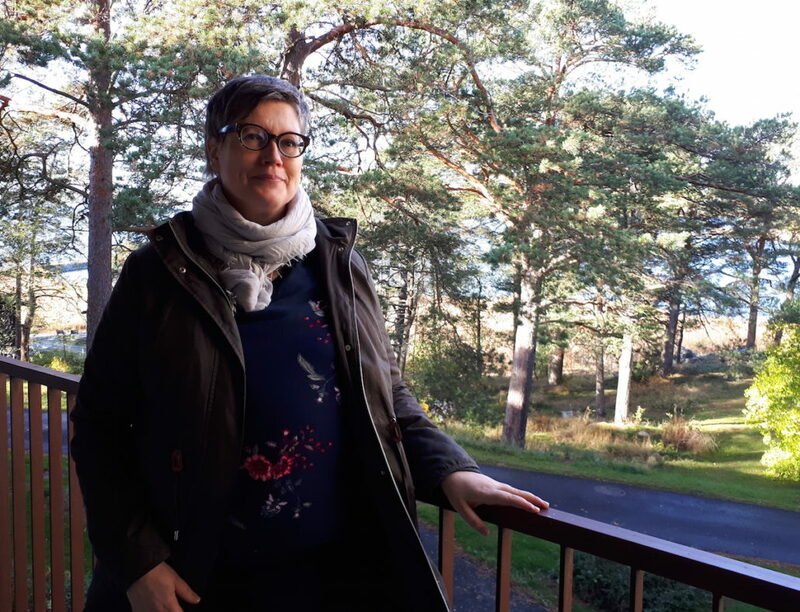 The training has given me tools for recognizing such situations”, says Jenni Kuja-Aro from the Environmental Services of the City of Helsinki. Tytti Viinikainen from the Finnish Transport Infrastructure Agency found that the training gives useful tools for the officials in her own department. “It was good that the toolbox discussed today was not technical, such as ‘organise groups of 5-6 persons at 18.00”, but about the grounds of interaction: accept the conflicts, and listen more – this is just what our officials need in their diverse processes”. At the department of Tytti Viinikainen in the Finnish Transport Infrastructure Agency, competences to collaboration are needed in multiple processes especially with municipalities. ”It has been intriguing to note how the issues people are concerned about are just so the same that we are dealing with in the United States”, Greenwood states. 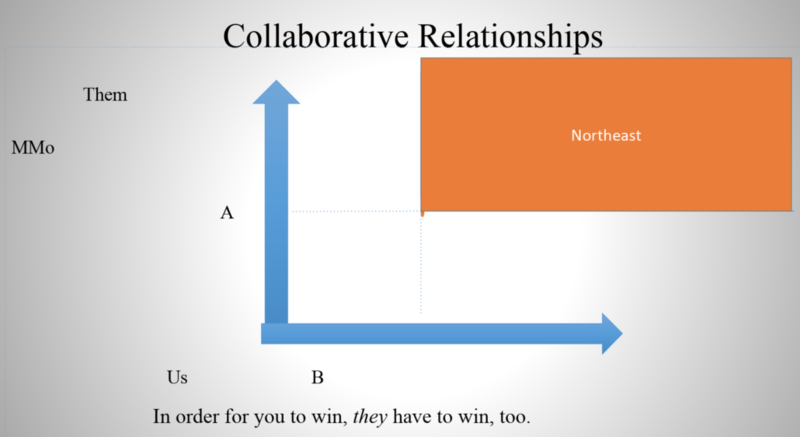 How do you get people to collaborate when they don’t want to. How do you proceed, if you’re the one who really wants to convene a process, and you’re not perceived as neutral. How do you do a process when there’s no trust between the parties. All the things that people listed up in the starting discussion.” The contexts are, however, different. “It is interesting to see how these same issues interact in the relatively different Finnish context. They may just have a little bit different flavor”, contemplates Odell. 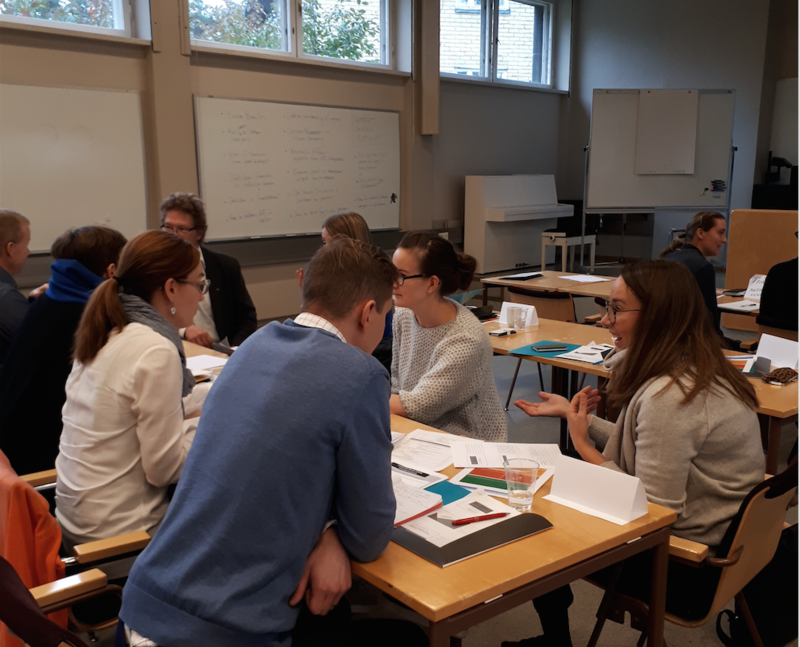 The instructors recognized many challenges faced in developing collaborative governance in Finland as the same that in the U.S. have been discussed for a longer time. One of the common issues in both countries is the tendency of many officials to think that the officials are responsible for finding the solutions themselves. Real collaboration, however, becomes possible only when the thinking is turned to that the solution can only be created in collaboration. At best, the training creates the ground for the Finnish culture of collaborative governing, which also includes a common language. 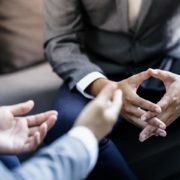 “For example when a colleague tells about his or her process, you can ask what were the interests as opposed to the positions”, Greenwood describes. He hopes that after the training the participants can keep in touch with and use each other as peers support when applying the new practices. “Hopefully they really get support”. The training will last until May 2019. The development of the Finnish community of practice on collaborative governance will continue among others with the establishment of a contact platform and with events sharing insights from the training. 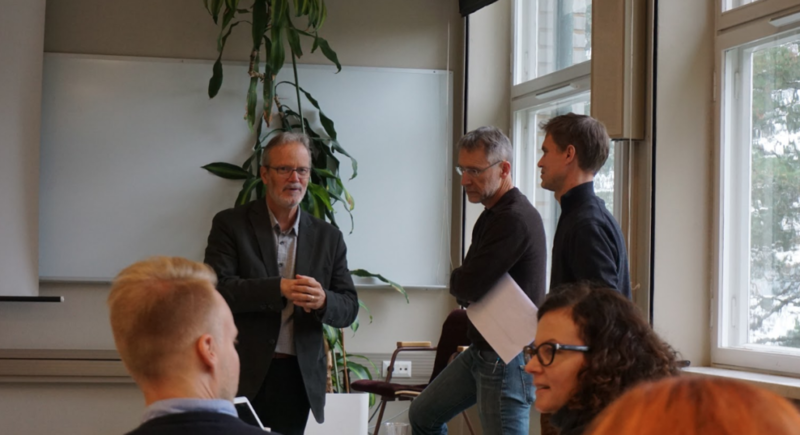 In Autumn 2019, the CORE project will organise an open COREvent workshop, as an opportunity for all interested to get familiar with the key messages and ideas from the training. Welcome onboard!